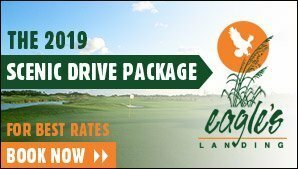 Request A Quote - Get a quote for your golf package. Ocean City MD Dining & Nightlife - Where to eat and have fun in Ocean City, Maryland. Green Card Info - Learn more about our exclusive golf discount card. Order a Golf Green Card - Get your own golf discount card. 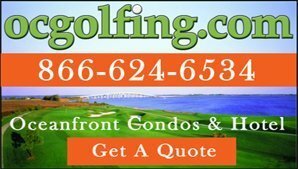 Request a Golf Planner - Plan out your golf trip in Ocean City, Maryland. Interactive Golf Planner - An interactive, online version of our golf planner. View Golf Planner PDF - View PDF version of our golf planner. Contests - Win a free golf trip by participating in our contests. Win A Free OC Golf Getaway - Enter to win a free golf trip to Ocean City, Maryland. US Open Giveaways - Enter to win tickets to the US Open. News & Events - Golf news and tournament announcements in Ocean City, Maryland. News - Golf news in Ocean City, Maryland. Tournaments & Special Events in Ocean City MD - Get the latest updates about golf tournaments and special events. Local Information - Local area information to help plan your trip. 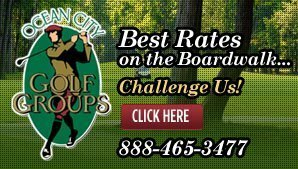 Maps & Directions to Ocean City Golf - Map/directions for golf courses in Ocean City, Maryland and surrounding areas. Ocean City Golf Services - Golf services and retail locations in Ocean City, Maryland. Advertise - Advertise with us. 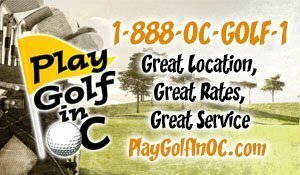 Home Page - Welcome to Ocean City, Maryland Golf!